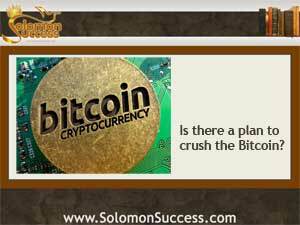 Solomon Success > Blog > Can Consorting With Sinners Bring the Bitcoin Down? To live a wise and Godly life, says King Solomon, avoid the company of sinners, especially those who lie and deceive. “My son, if sinners shall entice thee, consent not to them,” he says in Proverbs 1:10. Now, advocates of the Bitcoin worry that the arrest of a Bircoin exchange executive for consorting with money launderers from the drug market Silk Road could open the door to ways to shut down the digital currency – and any other alternative currencies as well. Charlie Shrem is just 24, but he’s already running Bitinstant, a major Bitcoin exchange. The FBI nabbed him in connection with transferring Bitcoinage with links to the now-defunct drug market Silk Road, where the anonymity and untraceabilty of the Bitcoin made it the currency of choice for buying a variety of illegal substances. Silk Road was targeted in 2013 by Federal agents, who posed as buyers on the site and ended up confiscating millions in Bitcoins and shutting the site down. Ad because Shrem conducted transactions in Bitcoins for a dealer with ties to Silk Road he now stands accused of money laundering and lying to the Feds. But there’s one charge filed against Shrem that has Bitcoin advocates worried. In addition to the charges related to Silk Road activity, he’s also charged with “operating an unlicensed money transmitting business.” That, say supporters of the unregulated digital currency, establishes a precedent for cracking down on anyone who deals in Bitcoin, since the primary reason for the currency’s rise in popularity is its freedom from licenses and restrictions. Shrem’s arrest also comes against the backdrop of increasing worries about domestic surveillance conducted by the National Security Agency. There’s now a long list of products and services that claim to help users block that kind of snooping – and the Bitcoin is high on that list, precisely because it’s open to all, transactions are hard to track, it’s accepted virtually everywhere in the world, and users can stay anonymous. All of these developments are making supporters of the Bitcoin – and those concerned with the erosion of civil liberties in general – very nervous. Bitcoins are making serious inroads into transactions in all sectors of the local and global economy – including real estate. More and more property purchases are being made with Bitcoin and some investors are even accepting rental deposits in the currency as well – and that’s an aspect of the Bitcoin saga that that could impact investors following Jason Hartman’s guidelines for building wealth in income property. Are Bitcoins the Folly of Fools? Do Alternative Currencies Threaten Traditional Banking? The Bitcoin: A New Currency for a New Age?